Is your nonprofit organization bursting at the seams, desperate for new facility to fulfill your mission? Are you wondering how to pay for a much-needed expansion? Does your board need support in raising a substantial sum of money? These are common problems that all nonprofits face, but there is a solution and yours is closer than you might think. With over 25 years of experience helping non-profit organizations achieve their missions, David P. King Fundraising Counsel delivers evidence-based fundraising solutions while providing personalized guidance to lead each client to success. In his role as a fundraising consultant, David identifies the specific needs and problems facing the organization, articulates a comprehensive strategic plan to solve them, and implements the campaigns he develops, on time and on budget. With over $200 million raised across a number of nonprofit categories, David has the experience to put your organization on a path for success. When a need for funds in your organization arises, many questions must be considered. David King assists you in the critical campaign planning stages and manages your campaign to ensure its successful execution. Embarking on a fundraising campaign requires significant prior planning and buy-in from all stakeholders. David King helps you evaluate your organization’s readiness regarding development strategy and support. David King supports your organization in its marketing and communication efforts prior to the campaign’s launch, when the campaign is in full swing, and after the goal is realized. A non-profit organization is only as great as its people. David King aids your organization in its search for the right members to join your team and helps train your members and leaders in fundraising fundamentals. David put us in a position to be successful, with the right campaign plan, timeline, priorities, and story to tell. He can put together a planning process for any organization to be successful raising capital campaign dollars. David King re-aligned The Ocean Foundation’s fundraising strategy, marketing approach, and messaging through an updated major-gifts plan. His thoughtful review of our existing philanthropic programs and interviews with a wide range of our donors meant that the plan he developed for The Ocean Foundation is evidence-based and convincing, and it has been adopted at all levels of the organization. David King was instrumental in leading NBG through the planning and implementation of a very successful capital campaign. He guided the recruitment of a leadership team, set gift strategies for key top donors, identified and successfully secured grants and funds from special sources (in particular a Kresge Foundation grant) and helped to maintain campaign momentum throughout the entire campaign. In over 25 years working in non-profit capital campaign management, David King has helped a variety of organizations to attain their goals and fulfill their missions. 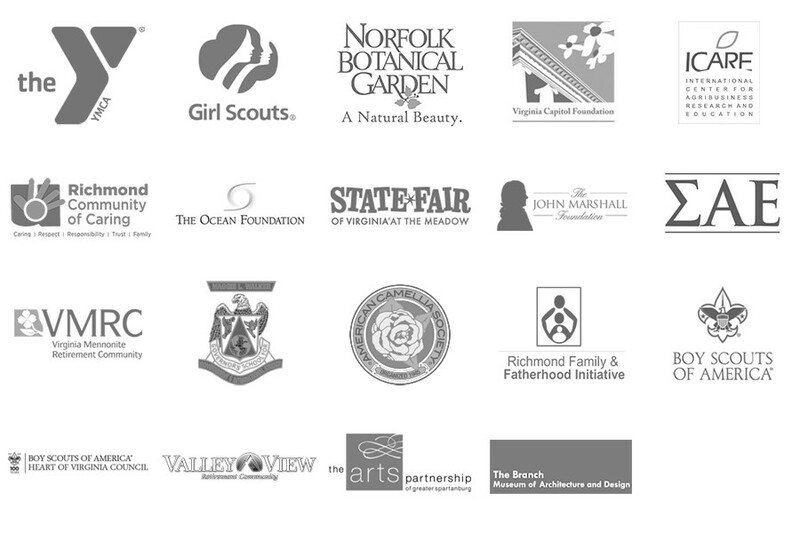 The following is a selection of some of the organizations that have benefitted from working with David P. King Fundraising Counsel. Does Your Organization Need Help Raising Funds to Achieve its Vision? or submit the form below to schedule a free consultation.